Currently enjoying this beauty at the pool while reading If I Stay. Want to make one for yourself? Please do. Place a dollop of frozen lemonade at the bottom, fill with Sprite and Rum to your liking (no judgement on National Rum Day), and then top it all off with a few frozen strawberries. 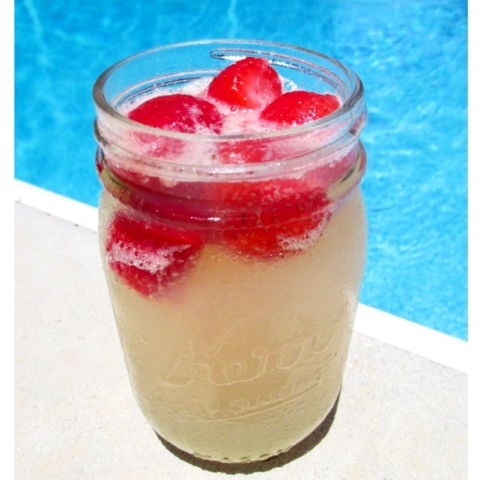 Top Tip - Try the strawberries once you've finished the drink and they've been soaking for a bit...pure perfection. Happy weekending!